'Scarlet Nantes' is an 1850s' French favorite for many reasons—sweet flavor, tender, abundant producer, and consistent quality. Nearly coreless! There is no finer garden treat than a homegrown carrot pulled fresh from the earth! Variety Information: Deep orange, sweet, crisp, cylindrical root; nearly coreless. 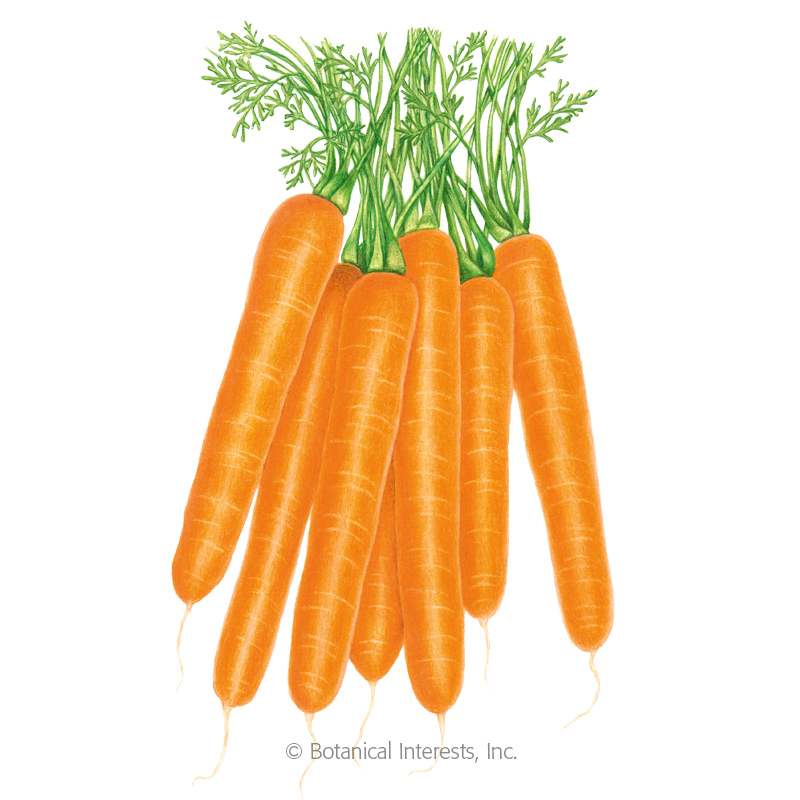 'Scarlet Nantes' is a Nantes type carrot.